Starting a membership site can be lucrative and fun. You get to nurture and support a community while enjoying profits for months or even years to come. If you’ve used other business models in the past, then you probably know that many models often create a feast or famine cycle. One month your profits may be high and you’re enjoying the good life. However, the very next month, you’re back to struggling just to pay the bills and keep the lights on. With a membership site, you can accurately guess what your monthly income will look like. This prevents the feast and famine cycle and the intense financial stress that can accompany it. Not only do you have a monthly income, you also have a database of customers that are hungry for more of your products or services. That means, you can launch a new offering and share it with a dedicated fan base of people who already know, like, and trust you. This allows you to make even more money from each new product launch. Includes BONUS 60-minute webinar that reviews different options for your membership program models, content options to fit your business, best practices for hosts and how to find and retain members. Use this checklist to help you determine what type of membership/subscription site you should start. 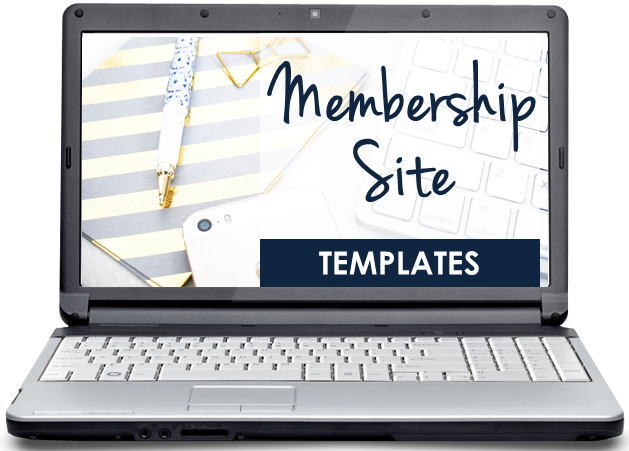 The monthly and annual planner will help you create monthly themes for your membership site to stay on track and keep your community engaged. 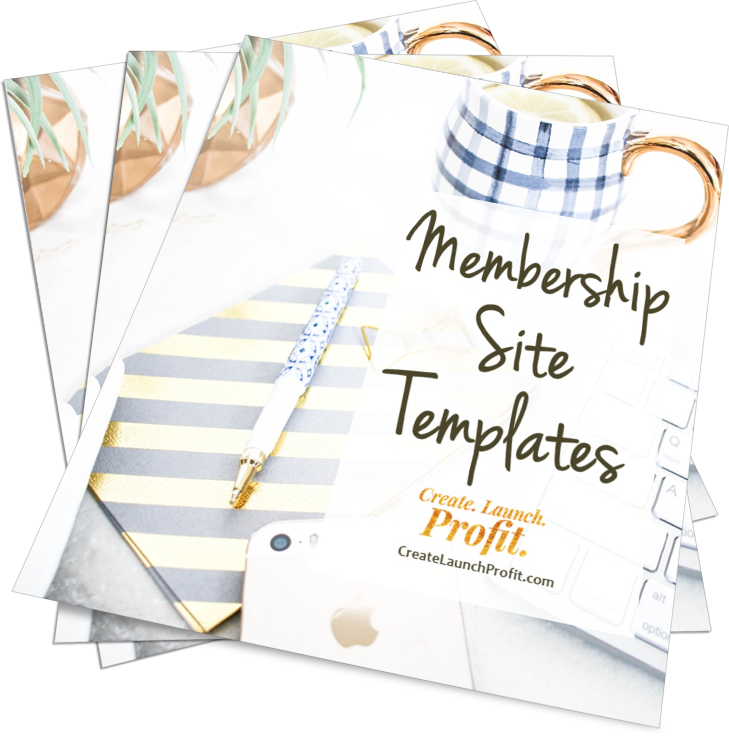 This checklist will help to make sure you have everything in place and ready to launch your membership site. Use this template to create your high-converting sales page for your membership site. Use this checklist to help keep your current members happy and continuously give them what they want and need. Use this checklist to help with your ongoing marketing efforts so that you always have a stream of new members coming in. Use this comparison chart to help you decide which platform will be the best for your membership site. Use this email series to promote your membership to your list. Use these graphics to jazz up your sales page, members area and for your social media marketing. Plus A "Read Me First" Insider Strategy Guide with additional tips and insights on how to use the templates! 60-minute training on different options of membership program models, content options to fit your business, best practices for hosts and how to find and retain members. You don’t have to be a guru or an industry name to launch your own successful membership site. With this month's template package you can do it right now and start enjoying the rewards of recurring income. for you to either write ALL of this yourself, OR hire a copywriter to write all of this for you. You would easily spend thousands of dollars to get these templates written for you. And if you hired someone to do it, you would still have to search for hire, instruct on your needs, review and tweak the templates before you could actually use them! But ain't nobody got time for that! Instead, you're smart enough to know you need to simply pickup this template package and start using these to increase your conversions and make more moolah! You'll get instant access to this package and you can use the content for your own business, and use it to work on your client businesses. Why not sign up for the Monthly Membership and get this bundle AND the current monthly membership bundle for the same price? Then $39 for a new template package each month. 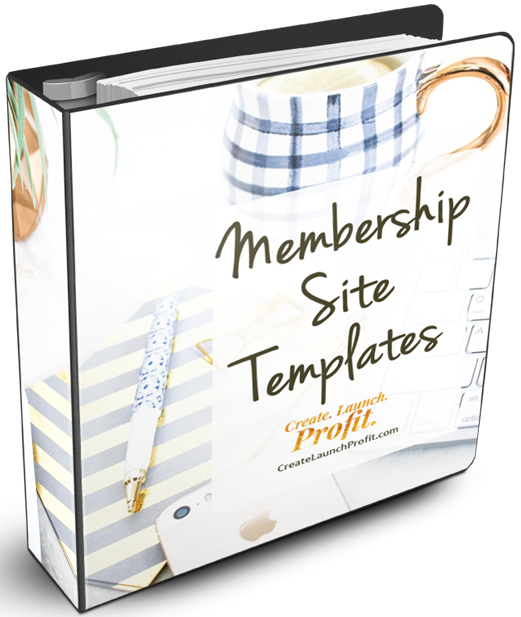 There are limitless ways you can incorporate the tools and templates included in each monthly package. Let's just look at a few of the ways you can use your subscription to help you CREATE and LAUNCH the products and services you want, to get your most PROFITABLE results. If you're a solopreneur making IT happen all by your lonesome, you will save a ton of hours from creating these systems from scratch. If you have a VA (or you're ready to hire one), you will have something already structured and organized to hand off, so you don't waste hours paying the VA to research how to create this stuff! You can complete the templates with your customized business info, and tell your VA what to do with the info. For example, you can complete the customer service templates, then have your VA create a FAQ page on your website based on the templates. If you want to publish a product-comparison blog post, give your VA the product-comparison blog template, tell her the types of products you want to compare, and she will have a template, a framework to start from. Depending on the type of Assistant you have, you can send the template to her right away. She can take a first pass at customizing the template and send it back to you for review and editing. This my friend, is your system done-for-you! You can use these templates to create canned responses for email inquiries, standard templates for blog posts, webinar scripts, and the like... You don't have to reinvent the wheel and start from scratch. Simply customize and automate. PROFIT from your hard work to successfully convert fans to customers and grow your business. Take the guesswork out of what to do next or how to do it. Use our easy-to-implement templates and get the guidance you need to grow your audience and sell more products. 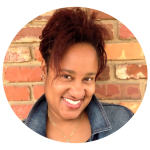 Looking forward to having you join me in online marketing success! P.S. - If you haven't hit that buy button yet, what in the world are you waiting for? If you need permission to grow your business and increase your profitability, consider this as your PERMISSION SLIP to get this money! Copyright © 2019 Marketing Sparkler. All Rights Reserved.